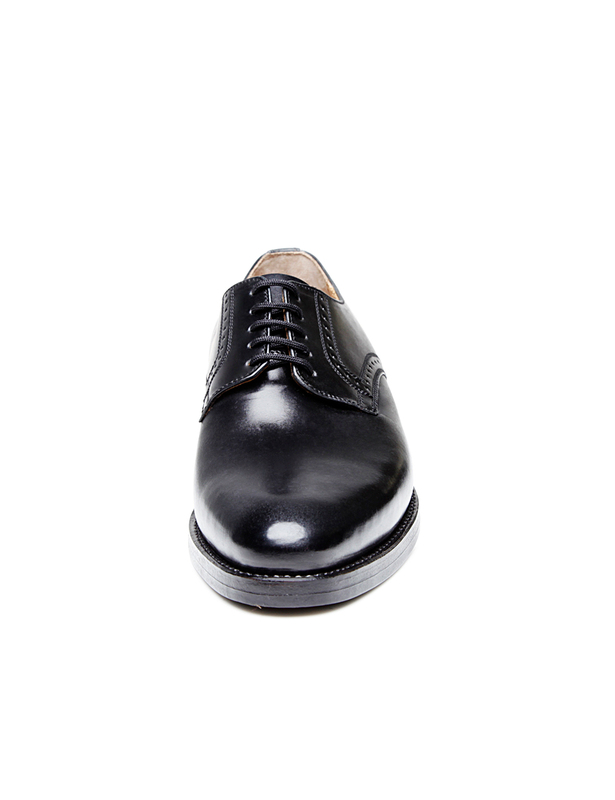 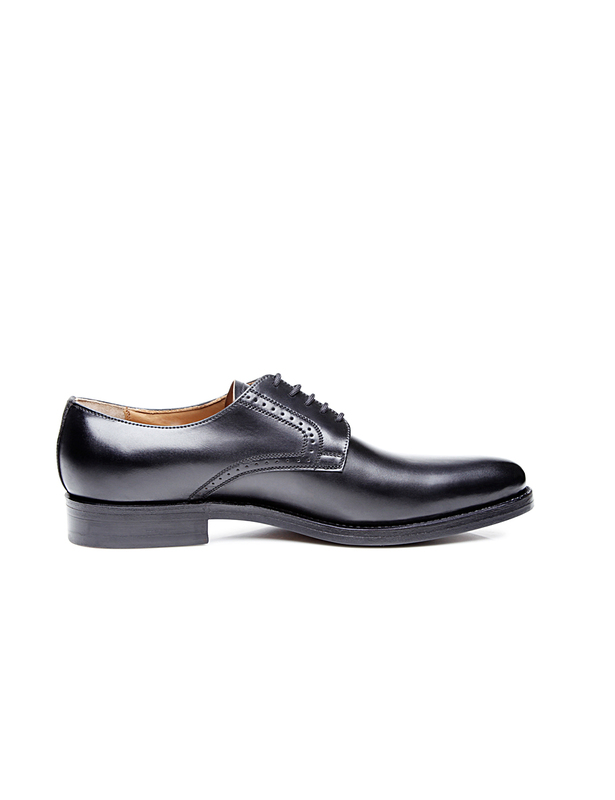 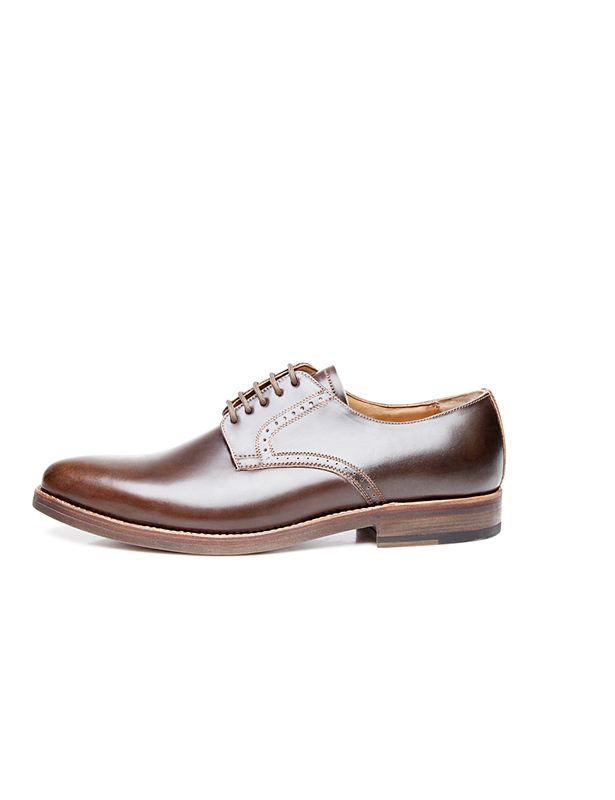 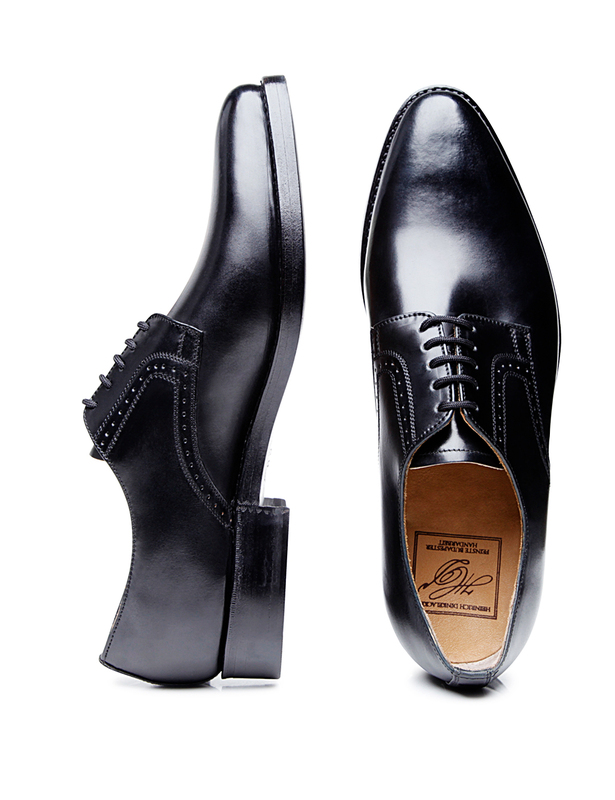 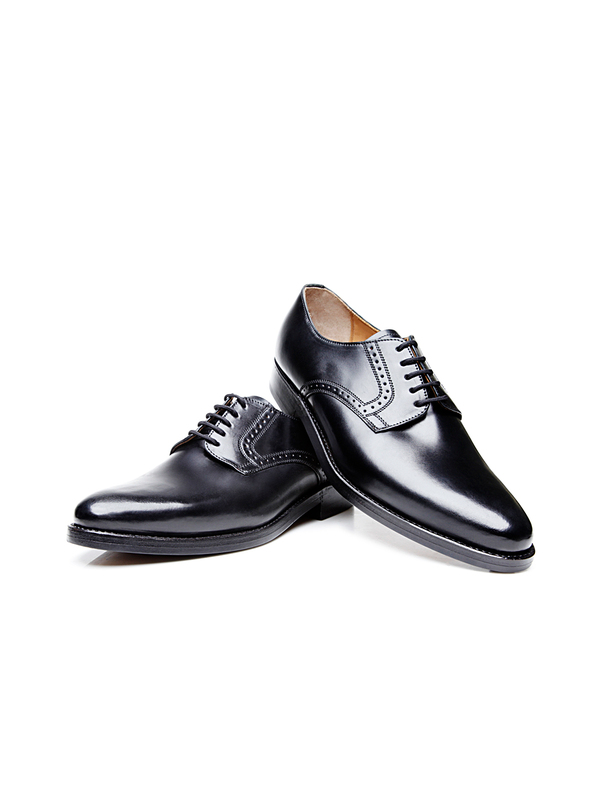 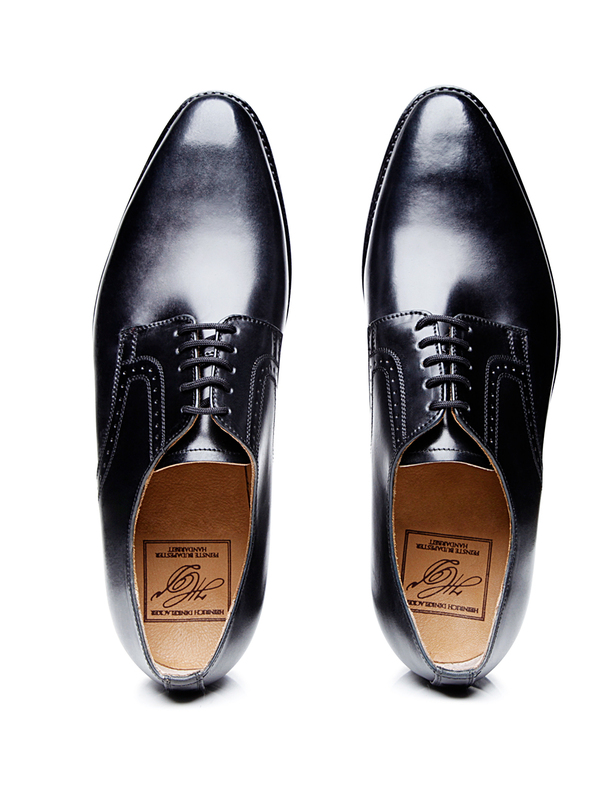 Thanks to its supple, gleaming shell cordovan upper and the exquisite craftsmanship underlying its assembly, this handcrafted, sewn-welted Derby is a luxurious masterpiece of a shoe. 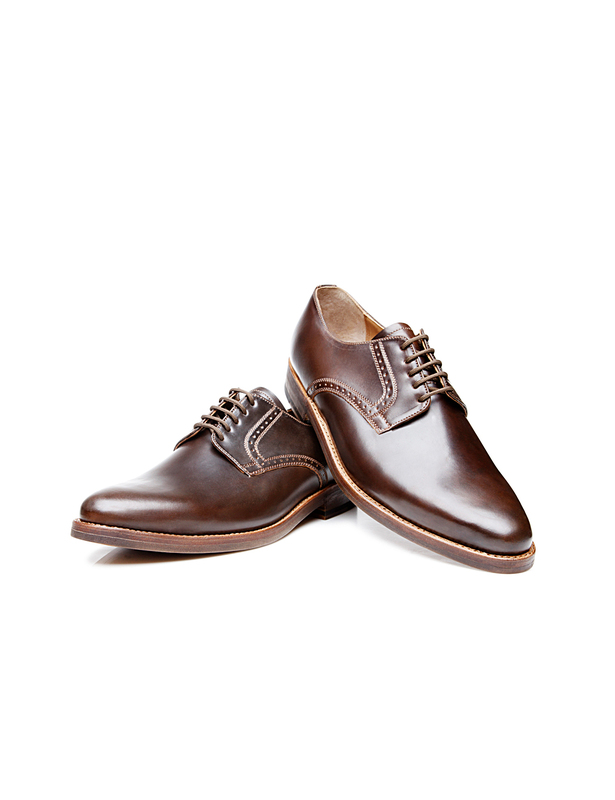 Due to its high natural fat content, shell cordovan, a famous equine leather, is nearly waterproof, moulds perfectly to the shape of wearers’ feet and is virtually impervious to scratching. 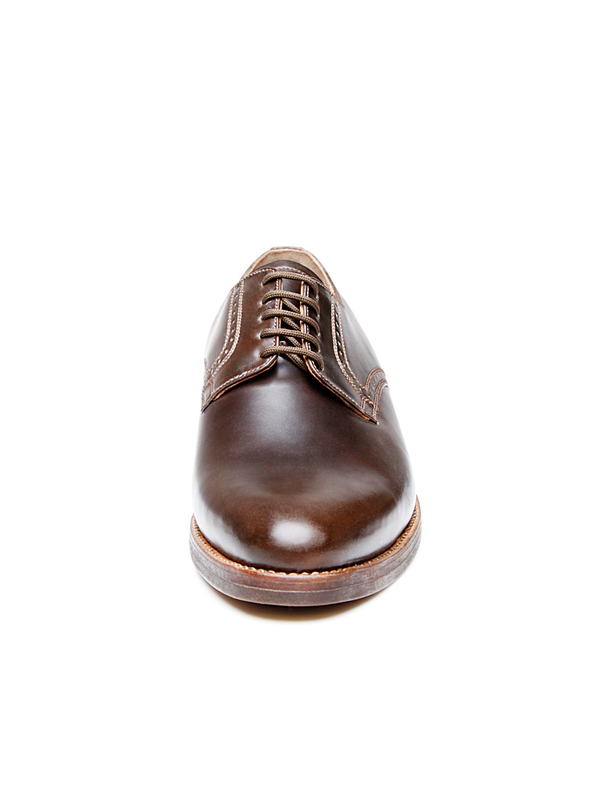 Only a select few shoe manufacturers get to enjoy the privilege of working with the extraordinary shell cordovan produced by America’s Horween tannery. 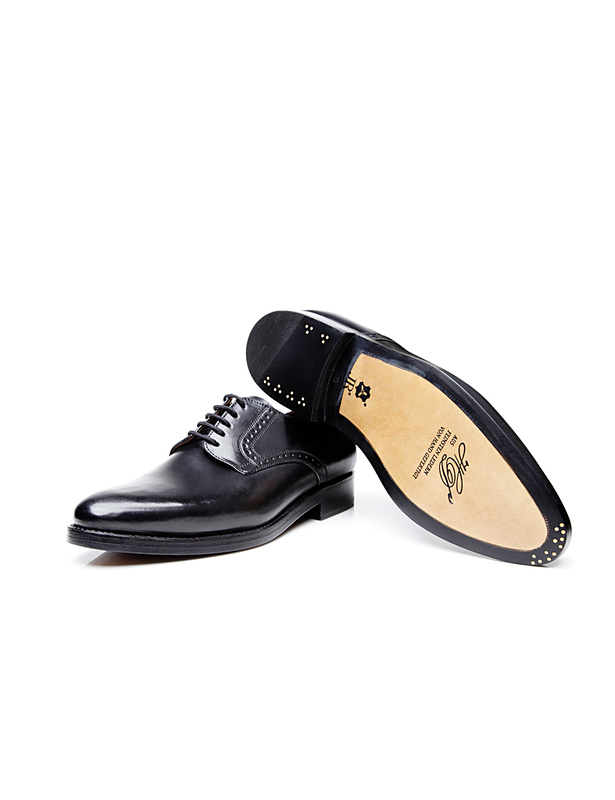 This model’s clean basic shaft cut is gently offset by the two curved side pieces on its vamp, which are adorned with subtle Lyra perforation. 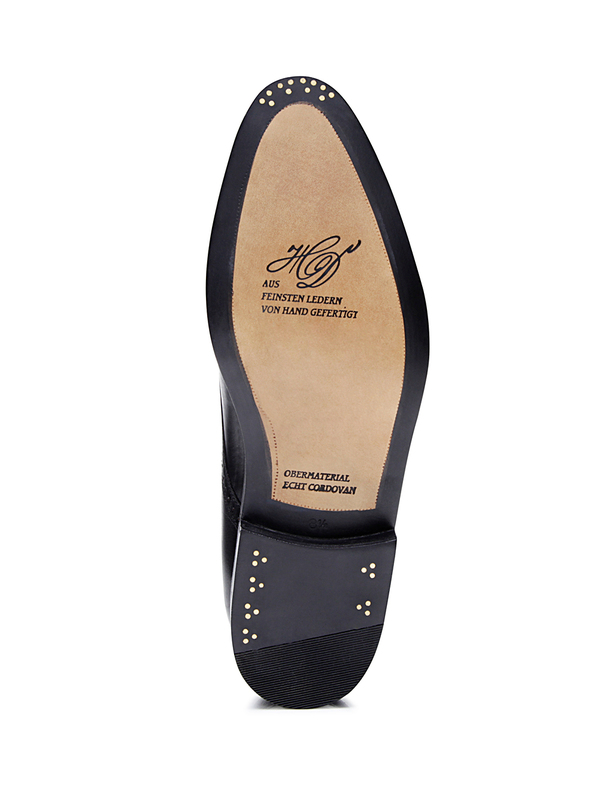 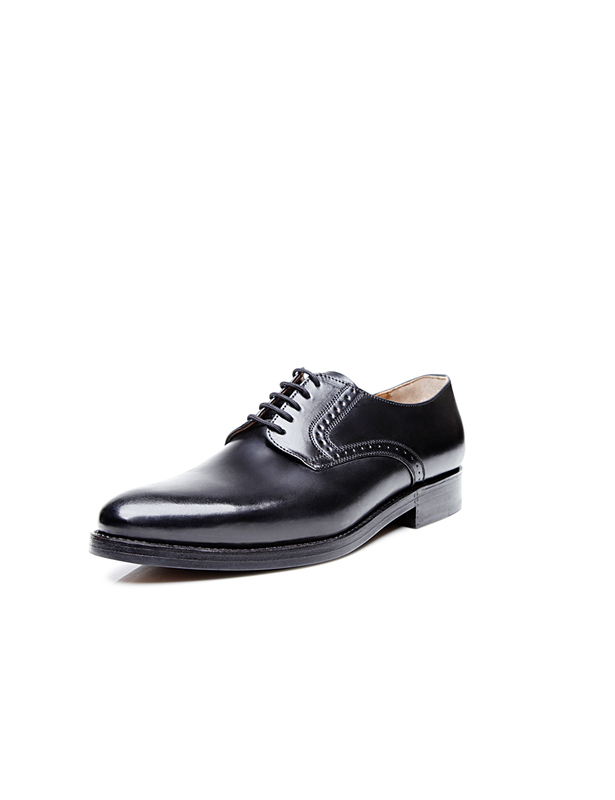 In keeping with tradition, this shoe’s open lacing is threaded through five eyelet pairs. 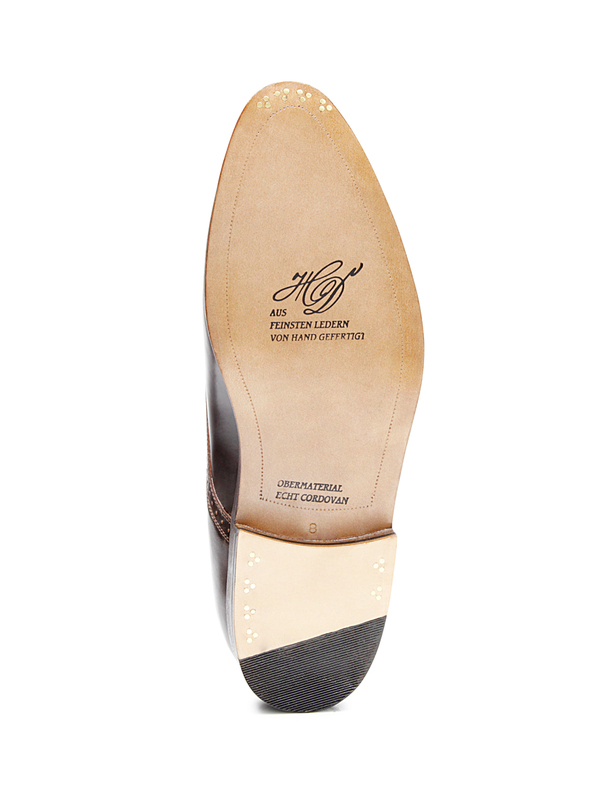 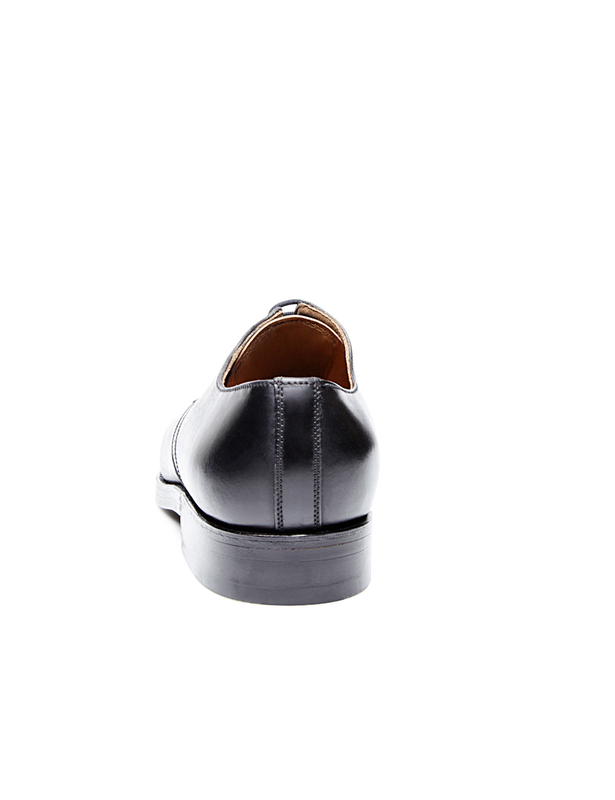 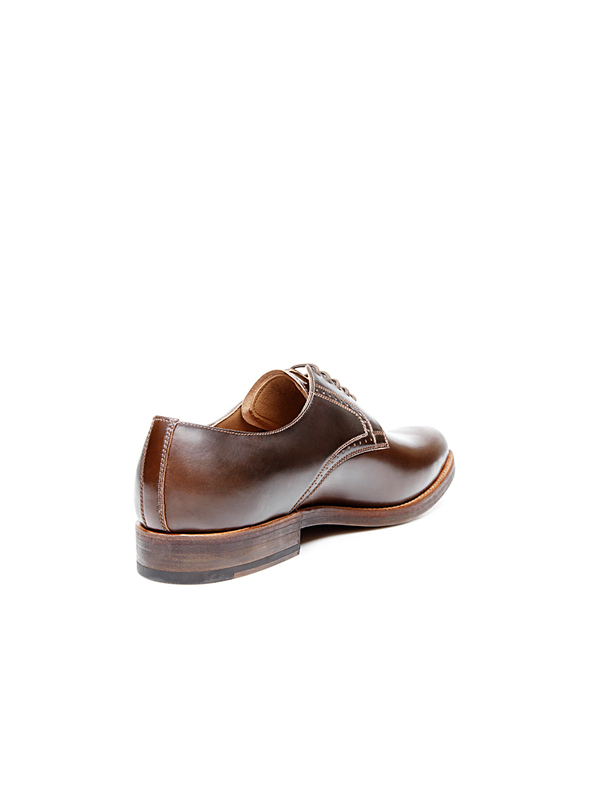 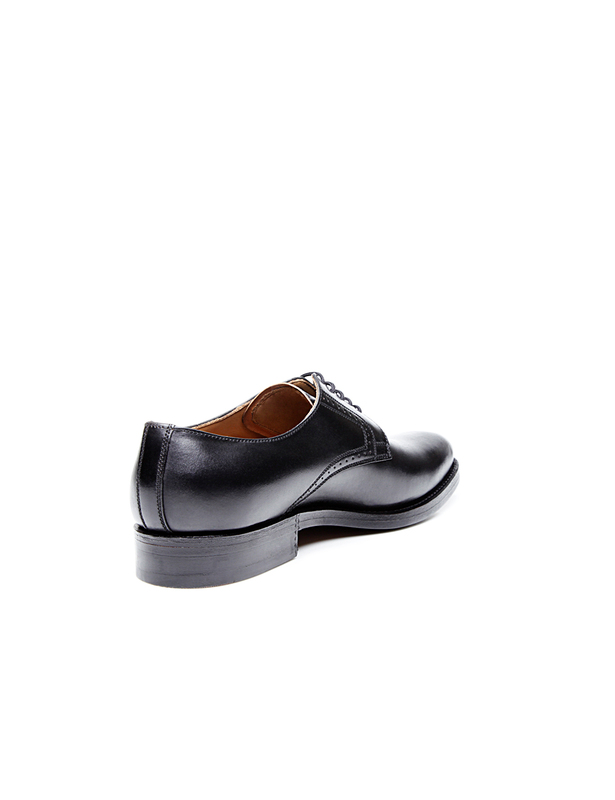 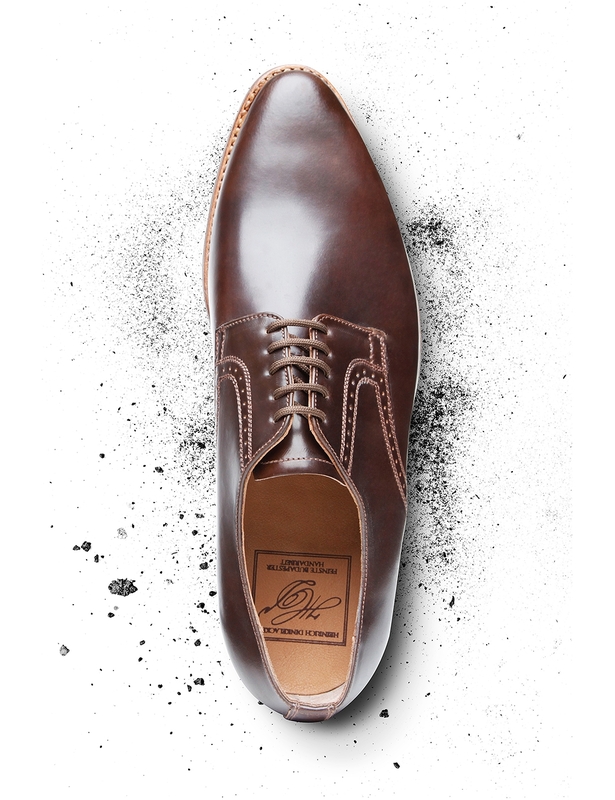 A durable double sole made of Rendenbach leather tops off this exclusive, full-leather shoe. 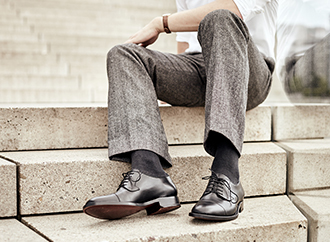 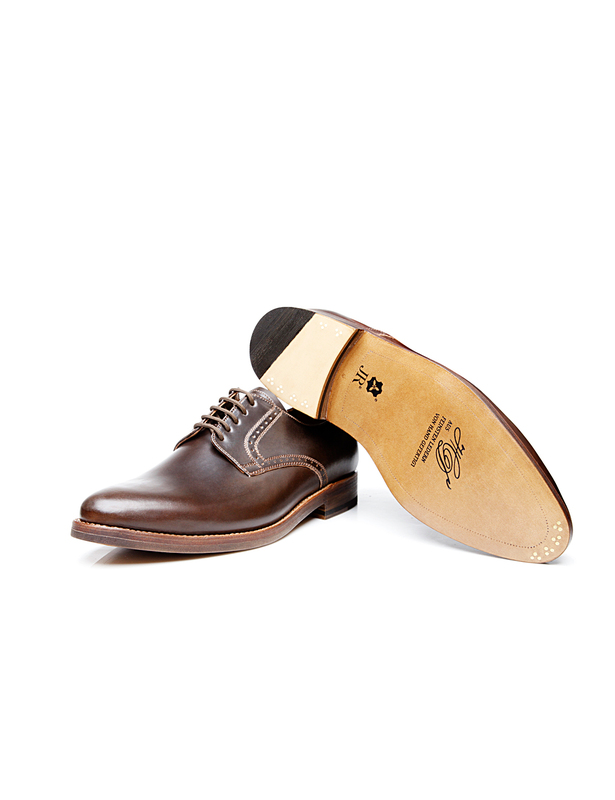 Last but not least, this model has been assembled around a last that gently tapers toward the front, making it perfect for gentlemen with average-width or narrow feet. 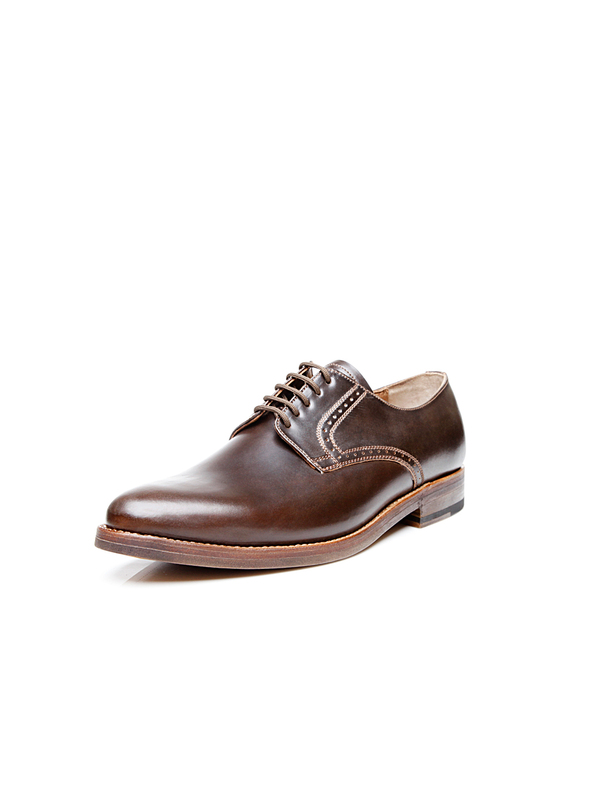 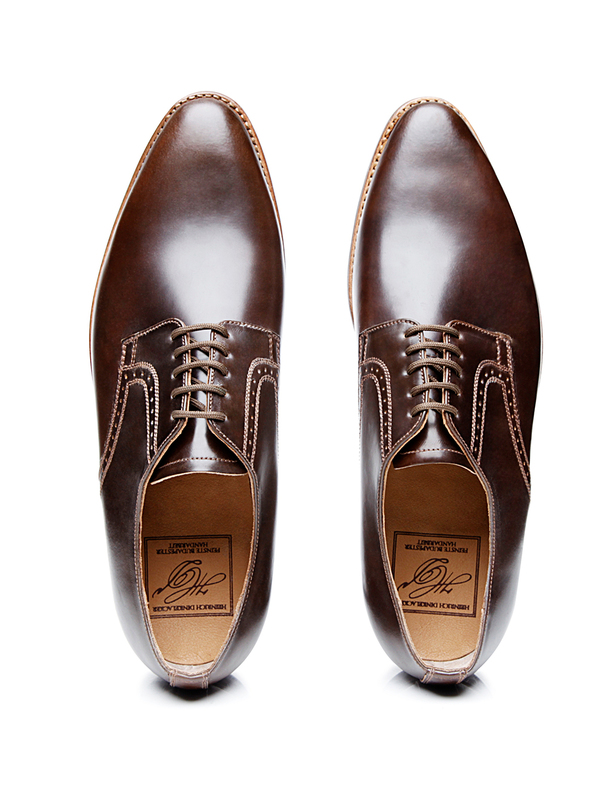 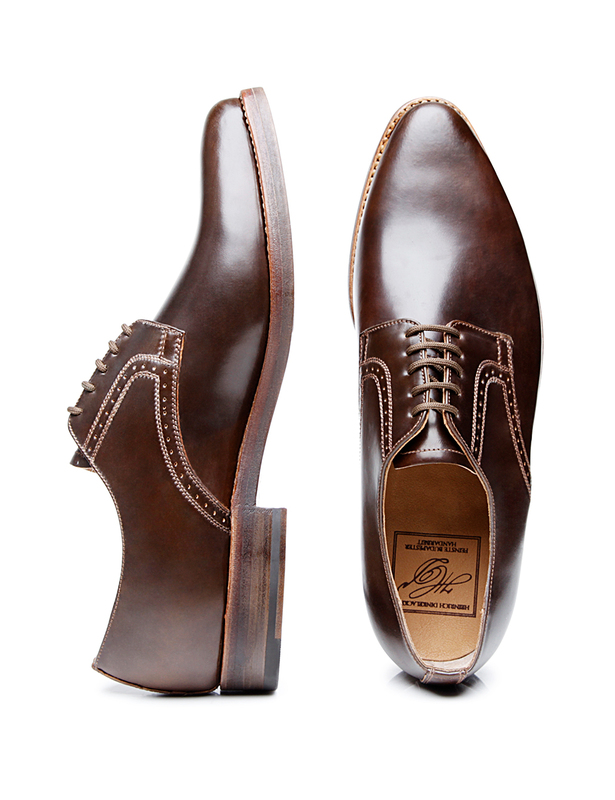 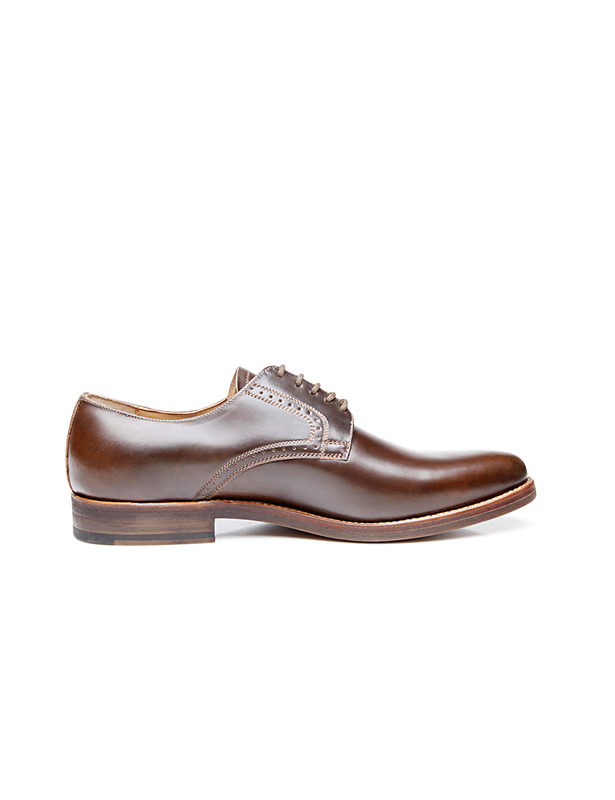 The Derby is available in dark cognac and black.